Are Carpenter Ants Living In Your Home? Carpenter ants are widely misunderstood creatures that are often blamed for causing the same structural damage as termites. However, carpenter ants are actually only attracted to wood with existing damage. Are carpenter ants living in your home? Here are the signs and possible methods of control you should know. Carpenter ants are one of multiple varieties of ants found in Florida. The specific types of carpenter ant found in the southwest are the Buckley and the Emery. As the largest ants found in Florida, carpenter ants are hard to miss as they forage or fly indoors and outdoors. When you invest your money, time, and effort into cultivating a lush, green sod yard, the last thing that you want is for that lawn to be ruined by pests. Unfortunately, small bugs and insects love to make themselves at home in your yard. This is why it’s so important for you to understand the prevention, symptoms, and treatments associated with sod pests like the webworm. Webworms are small, tan moths with a one-inch wingspan. They easy to distinguish by their zigzagging motions over sod, usually around dusk each day. Webworm eggs take two weeks to develop into worms that damage sod lawns. If you find those eggs anywhere in your yard, chances are you have two weeks to seek professional lawn care help before worms begin causing damage to your lawn. The moths and eggs themselves actually can’t be killed, so action can only be taken once the worms have developed and are ready to cause trouble. The webworms that hatch from moth eggs thrive on grass blades. They begin with nibbles and quickly progress to eating large patches of grass. 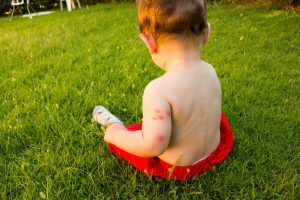 A vibrant green lawn plays an important role in defining your home’s curb appeal, but unfortunately there are many lawn diseases that can threaten the integrity of your grass and diminish your curb appeal. Take-all Root Rot is one such disease that targets warm-season turfgrasses, so it’s important to recognize the symptoms and take action immediately to protect your Florida lawn. What Is Take-all Root Rot? Also known as Bermudagrass decline, Take-all Root Rot occurs as a result of frequent and heavy rainfall that puts turfgrass under stress. Florida homeowners can expect to see this disease most frequently in the summer and early fall when the state receives most of its rainfall. The damage caused by Take-all Root Rot prevents turfgrass roots from absorbing a sufficient amount of water or nutrients from the soil. This also makes it harder for the plant to store the products of photosynthesis. Your yard is meant to be enjoyed, but without attractive landscaping it is nothing more than an unusable space. You don’t need to commit to a lifetime of ongoing maintenance in order to enhance the appearance of your yard. Thanks to the following simple ideas, you can transform the aesthetic appeal and function of your yard with ease. Where Are All Those Bugs Coming From!? Are bugs crawling out when you reach into the cabinet for cleaning supplies or snacks? Do they swarm around crumbs as you prepare for dinner? Living with insects is upsetting, especially when you don’t know how they are entering your home. You may be surprised to learn that the unused drains in your home can actually become breeding grounds for bugs. 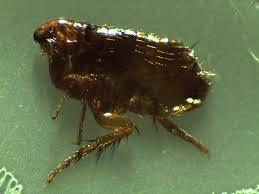 If you have a pet, you understand how obnoxious and troublesome fleas can be. They come in waves after Florida’s rainy season, which means you are likely to find fleas on your pets and in your home right now. Unfortunately fleas cannot be entirely prevented, but strategic precautionary measures will minimize the potential damage that fleas can cause. Here are the main tips that you should know! The quality of the grass in your yard plays a major role in the curb appeal of your property, a fact that might be stressful if your lawn is currently overtaken by weeds or brown spots. 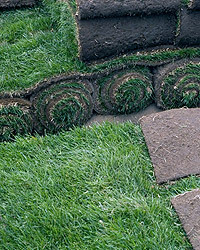 Installing the right kind of sod on your lawn can transform the appearance of your property, dramatically improve curb appeal, and give you a sense of pride in your home. St. Augustine has long reigned as the favorite sod choice for homeowners in the Tampa Bay area, but Zoysia grass is now emerging as another popular favorite. This native Asian grass has been in the United States since the late 19th century. 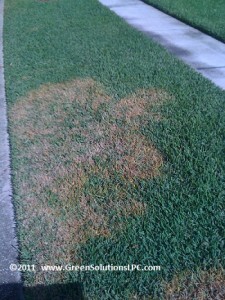 As a warm-season grass, its growth peaks during the hot summer weather that is so common in Florida. There are many reasons to consider installing Zoysia grass in your own yard, especially the three explained below. Which Mosquitoes are Most Common in Florida? 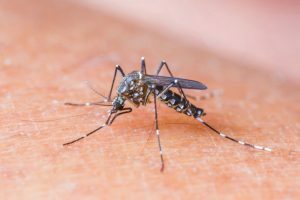 The word “mosquito” conjures the same reaction as “root canal” or “jury duty.” It’s a virtually unavoidable part of life, but miserable to encounter nonetheless. This is especially true in Florida, where many different mosquito species thrive in the hot and humid climate. Every species can certainly bite and irritate your skin, but only 33 cause pest problems and just 13 have the potential to make you sick. Here is a quick rundown of the mosquitoes you are most likely to encounter in the Sunshine State. House mosquitoes like Culex Pipiens like to breed and gather in polluted standing water like storm drains, pet dishes, and old tires. The female mosquito is capable of laying up to 400 eggs at one time! Once these mosquitoes infest themselves on your property, only professional pest control services can eliminate them. Mosquitos are the ultimate outdoor nuisance, especially in Florida’s hot and humid weather. You shouldn’t have to rely on candles and bug spray to keep mosquitos away from your deck as you celebrate with friends or relax with your family. 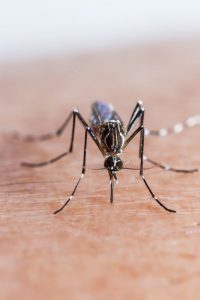 You can give yourself some peace and comfort this summer by hiring a company to perform professional mosquito treatments around your property. 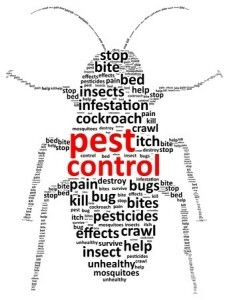 When you hire a company that uses the highest quality pest control products to perform a periodic barrier spray, mosquito bites will stop being a required side effect of spending time outdoors. Most mosquitos are small enough that you hardly notice them as they invade your space and bite your legs and arms. But the American Gallinipper is different. This monster mosquito is about six times larger than the size of a common mosquito, and its bite is that much more painful. Though it’s been a few years since Florida was invaded by the Gallinipper, it’s important to always stay alert for these pests.